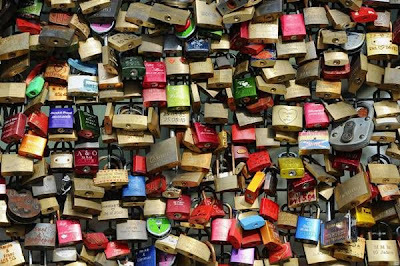 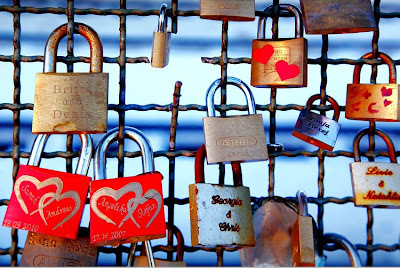 According to Wikipedia, Love padlocks have existed for quite some time, though there are no certain sources for their origin. 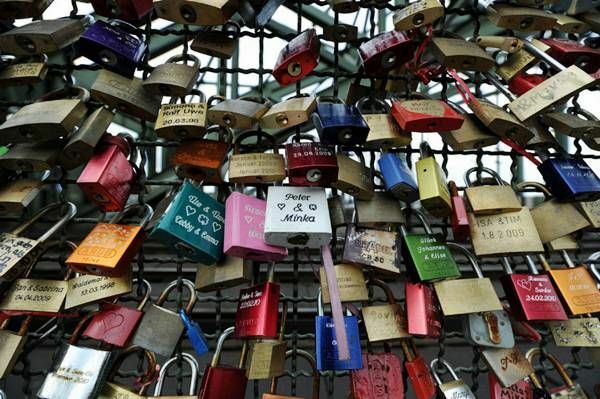 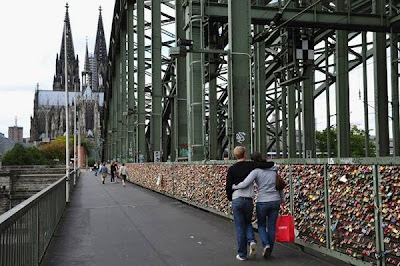 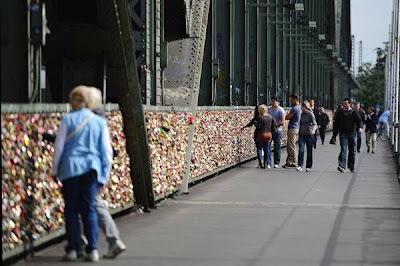 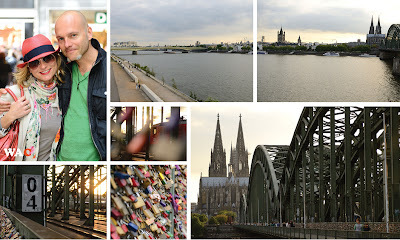 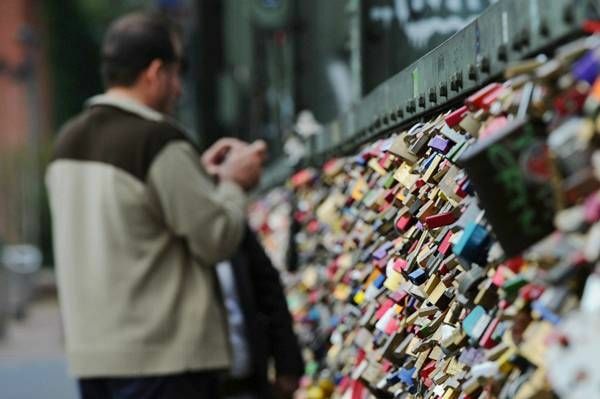 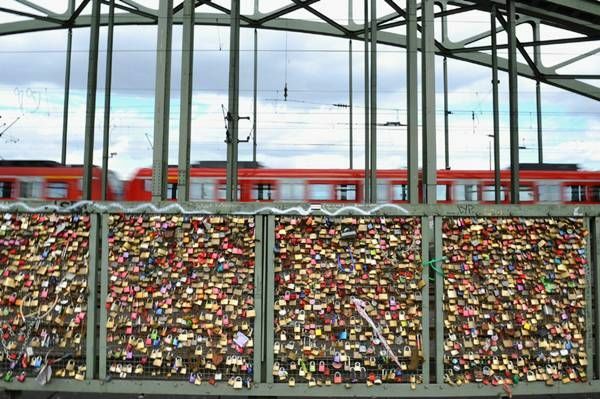 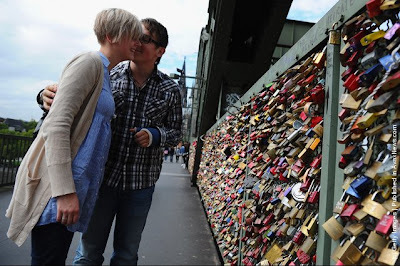 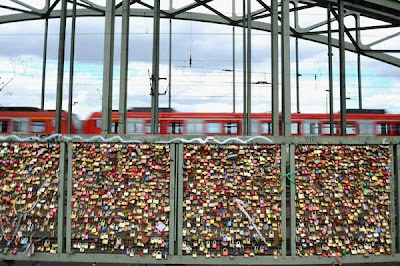 In Europe, love padlocks started appearing in the early 2000s. In Rome, the ritual of affixing love padlocks to the bridge Ponte Milvio can be attributed to the book I Want You by Italian author Federico Moccia, who later made it into the film-adaptation Ho voglia di te.